Remember that secretive and unprecedented undertaking in New York last year entitled the Underbelly Project. Toiling four stories underground in an abandoned subway station in New York, over 100 artists invited by PAC and Workhouse left their mark on the space with murals and graffiti. Although the original “urban gallery” was sealed and unaccessible, this environment will be recreated in Miami for the Underbelly Show opening from Dec. 2 -5 (78 NW 25th Street in Miami, FL). Not only will the exhibition feature photos that documented the project, some of the artists will also contribute original work for a group show during Art Basel Week Miami. 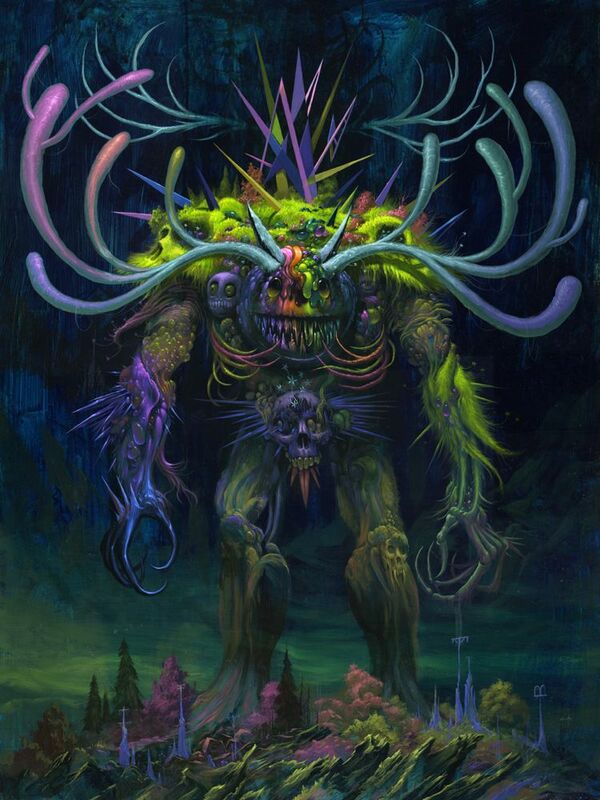 For example, look at this remarkable new piece from Jeff Soto (interviewed) entitled Monster, a stunning culmination of explorations of the new direction he has been taking with his recent work. The full line-up of artists include: Faile, Dabs & Myla, TrustoCorp, Aiko, Rone, Revok, Ron English, Jeff Soto, Mark Jenkins, Anthony Lister, Logan Hicks, Lucy McLauchlan, M-City, Kid Zoom, Eric Haze, Saber, Meggs, Jim & Tina Darling, The London Police, Sheone, Skewville, Jeff Stark, Jordan Seiler, Jason Eppink and I AM, Dan Witz, Specter, Ripo, MoMo, Remi/Rough, Stormie Mills, Swoon, Know Hope, Skullphone, L’Atlas, Roa, Surge, Gaia, Michael De Feo, Joe Iurato, Love Me, Adam 5100, and Chris Stain. Discuss Art Basel Week Miami here. Categories: Low Brow & Pop Surrealism, Shows & Events, Teasers. Tags: Art Basel, Art Basel Week Miami 2011, Art Fairs, Jeff Soto, Low Brow & Pop Surrealism, Miami, Shows & Events, Street & Urban Art, Underbelly.